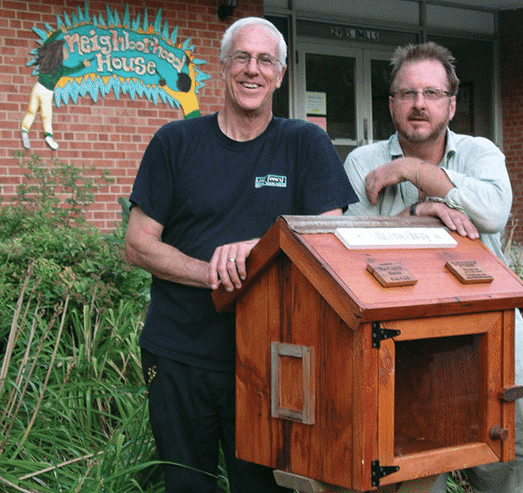 Meet Rick Brooks, co-founder of the Little Free Library project, a movement that has spread to some 80 countries around the world over the last six years or so. Below, Rick shares the history of the project and the role Little Free Libraries play within communities around the world, some of the more far-flung destinations where they can be found and why books are still so important in our digital age. So my father, a plastic surgeon, applied for a Fulbright grant and we went to India, where he and my mother lived in a leprosy sanitorium near Vellore (in Tamil Nadu). Two of my sisters and I went to international school in Kodaikanal and one to college in Madras. We returned to Wichita, then five of us went to Peru for a year. Our lives have been changed by those experiences ever since. Photo: A Sadler Garden Collections Little Free Library in the making! 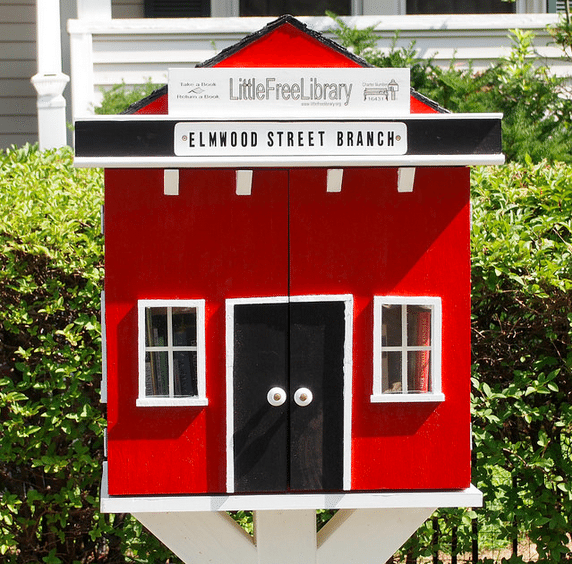 LO: What exactly is a Little Free Library? RB: It’s a “take a book, return a book” gathering place where neighbors share their favorite literature and stories. In its most basic form, a Little Free Library is a box full of books where anyone may stop by and pick up a book (or two) and bring back another book to share. LO: Give us a brief history of how this project launched. How has it evolved over the last decade? RB: The Little Free Library movement developed after I saw a box of free books in the form of a one-room schoolhouse that Todd Bol had built in 2009 as a tribute to his mother. He and I were discussing several social entrepreneurship ideas and the one I strongly suggested that we pursue was that “little library thing”, which we had no name for at the time. It was my conviction that such a small object could carry a good deal of social freight, so to speak. Coming from a background in youth and community development and social marketing, I had seen similar physical structures and social strategies in several different places around the world. By focusing on generosity, sharing, mutual support and grassroots efforts, we could facilitate connections among neighbors and demographic groups that seemed to live near each other without really knowing how they could nourish a sense of community. Todd had built one such connecting point, which we were able to use as a model for many different community purposes; not intended for profit but for interdependence…and, of course, for literacy, intergenerational communication, promoting a love of reading, books and libraries of all kinds. 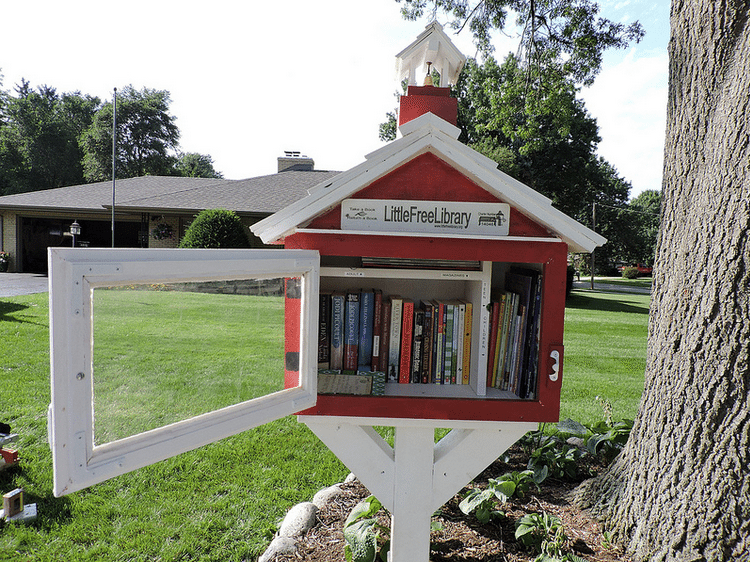 By telling the stories of each new Little Free Library, we hoped to use this grassroots effort to spread the word to greater audiences and places far beyond the town of Hudson, Wisconsin. And it worked! 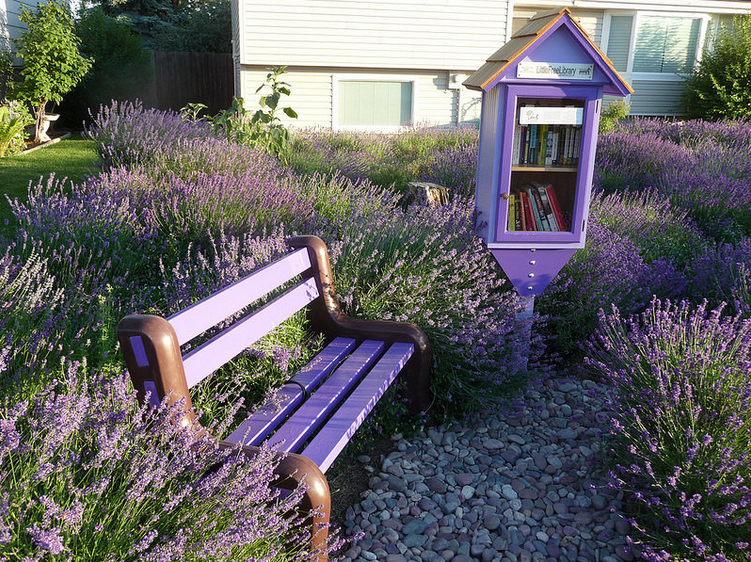 LO: How many Little Free Libraries are registered around the world? Share a story of one of the international projects that left an impression on you. RB: The latest count, as far as I know, is between 25,000 and 30,000 in more than 80 countries. That total is undoubtedly low because we hear or read about so many that are not registered or have different names. 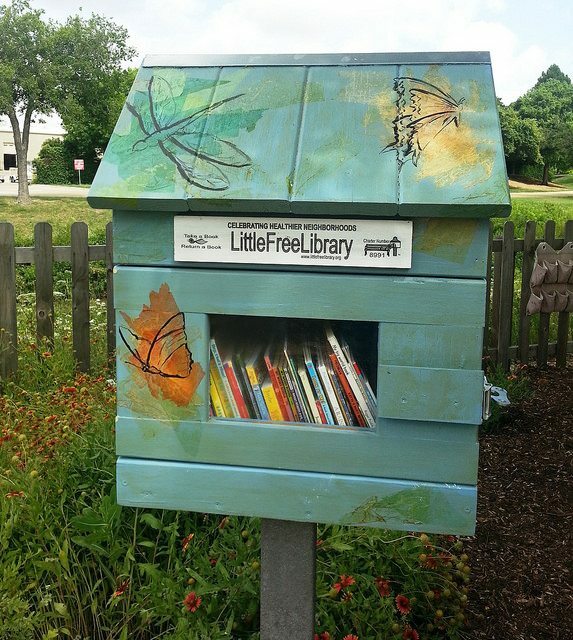 Right here in Madison, for example, I have seen several dozen that are not “counted” as official but definitely serve the same purpose and benefit from Little Free Library support systems. 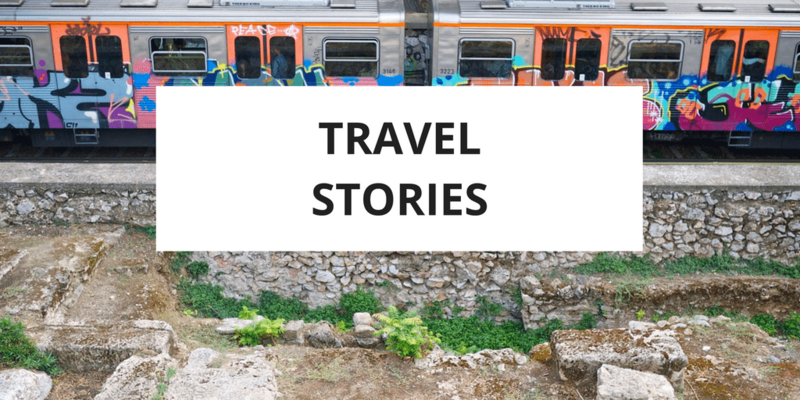 It’s very hard to single out just one or two stories in other countries, and it’s tempting to think of examples of big projects with scores of Little Free Libraries. But I favor what seem to be the most heroic…in a refugee camp in Uganda, in villages in South Sudan, in Tegucigalpa, Honduras, the slums of Brazilian cities—places where one might least suspect such optimistic and courageous symbols of community amidst violence or government upheaval. Perhaps my most favorite story is about Little Free Libraries that may not even exist except in a young Chinese journalist’s mind and as an unpublished story. I got a phone call on my cell one night around midnight. The voice on the other end had a strong accent, but I could understand well enough to hear that she was a reporter from China who wanted to write about Little Free Libraries. “I am so impressed,” she said. “You know, these things remind me of Jane Addams and what she did to empower poor people in Chicago…” (She knew more about American history than most Americans do!). She then proceeded to tell me about how such innovations could have an impact all around the world, and asked me the kinds of questions you are asking me. After about an hour of interview, she promised to send me her story before it was printed. She told me she could not give me her name and I would not be able to reach her by email or phone, but that she would do her best to get the story out. After about two months, I still had not heard from her. Finally, a phone message: she had written the story but her supervisor would not allow it to be published either online or in the newspaper. I called the number she had given me but could not even leave a message. Our tiny (revolutionary grassroots empowerment?) story must have been too scary for Chinese government censors. A free library, where ordinary people could share information and opinions through literature that they valued? Too frightening to imagine, I supposed. 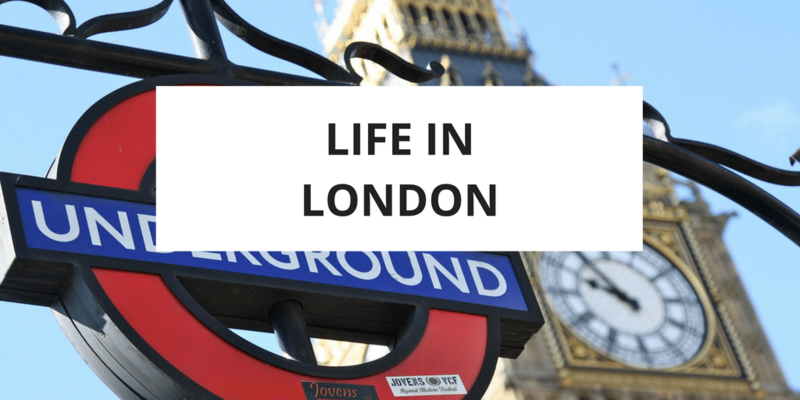 LO: Can anyone get involved in building a library? Is there a guide book that a maker can download? Talk a bit about the process that needs to happen from idea to creation to placement to promotion. RB: Yes! Anyone! This answer applied to both a Little Free Library and a public, school, or professional library. That sort of notion is what we wanted to promote from the time the first official Little Free Library began turning into many. Several guidebooks are already available online and in steward’s packets. LO: So, you have a cleverly-designed box full of free books. How do you create a community around this, especially if it’s in an area where the project is not yet well known? 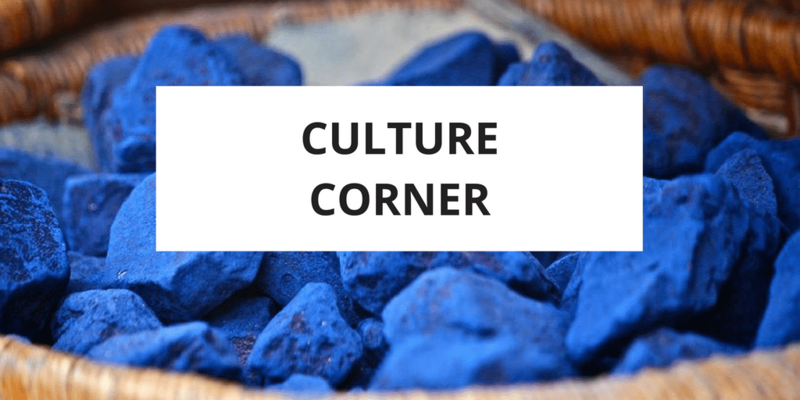 RB: It’s pretty simple, really, and operates on a principle common to almost every successful community organizing effort—people support what they help create. 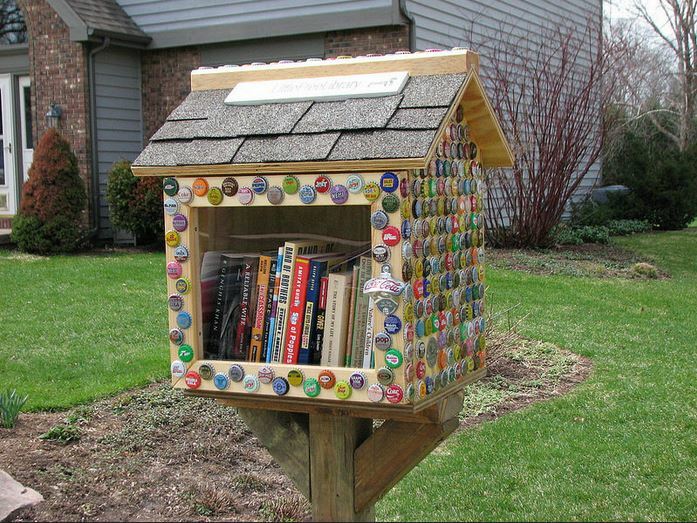 So, you find as many ways as possible to engage many different individuals in creating the Little Free Library, funding it, decorating it, filling it with books, promoting it, maintaining it, using it, celebrating it and being proud of it. You have a party to launch it. Put people’s names on it and in the books. 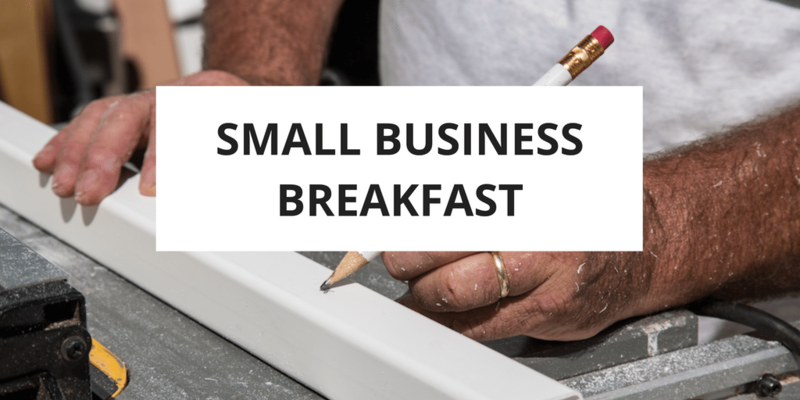 Help people feel as though they are stakeholders and common owners of it. It works every time. LO: Can you share examples of cities placing them in parks and recreational areas and the reaction from the locals? What about some of the more unusual locations? 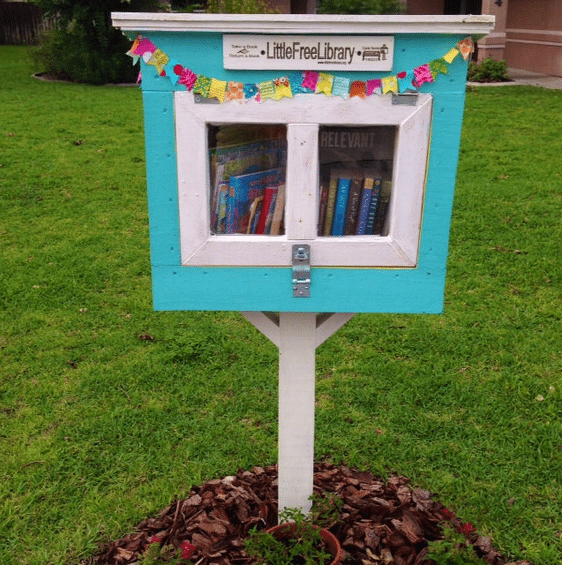 RB: The city of Dunedin, Florida has an outstanding array of Little Free Libraries in public parks, community centers and businesses. 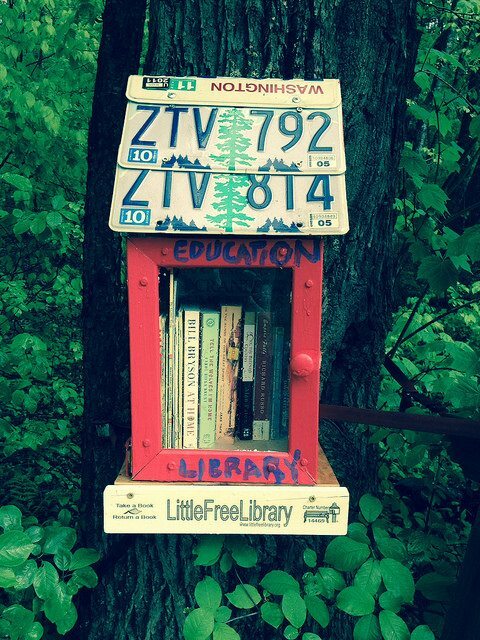 City, state and county parks throughout Wisconsin host Little Free Libraries with great success. Two of the most successful memorial Libraries early in the existence of this movement were located on federal land at the confluence of the St. Croix and Mississippi Rivers and in a city park in Madison. Their stories are documented in the YouTube video A Small Wooden Box and the award-winning video (available on www.littlefreelibrary.org) Because It’s Small. 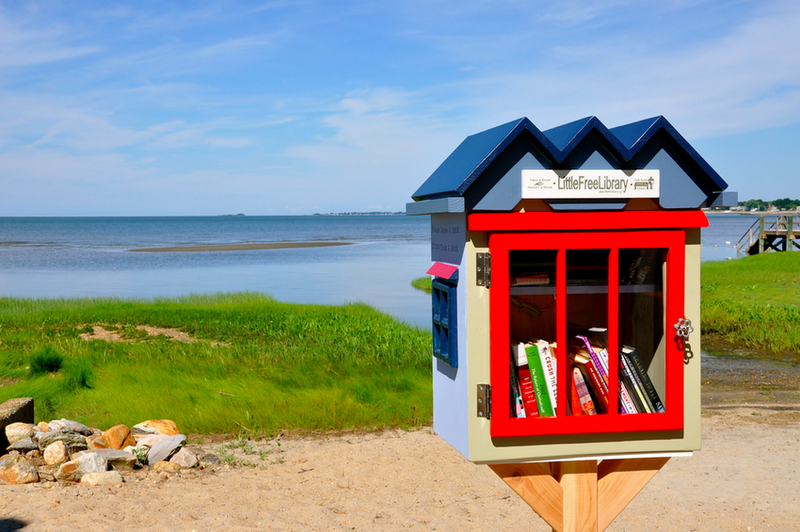 There are other Little Free Libraries located in the desert of Southern California, above the arctic circle in Alaska, a public park in Iceland, a public square in Moldova, elk-hunting grounds in Montana, along the canals of Amsterdam, in Abkhazia and Goa. LO: Where was the very first one? 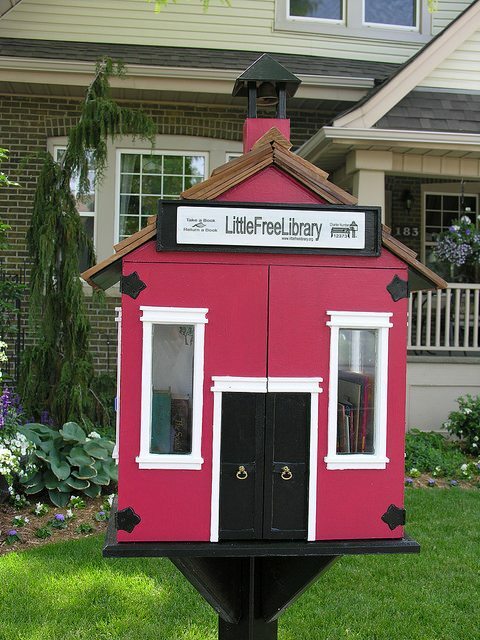 RB: The first one to be called a Little Free Library was built in Hudson, Wisconsin and placed in Todd Bol’s front yard. 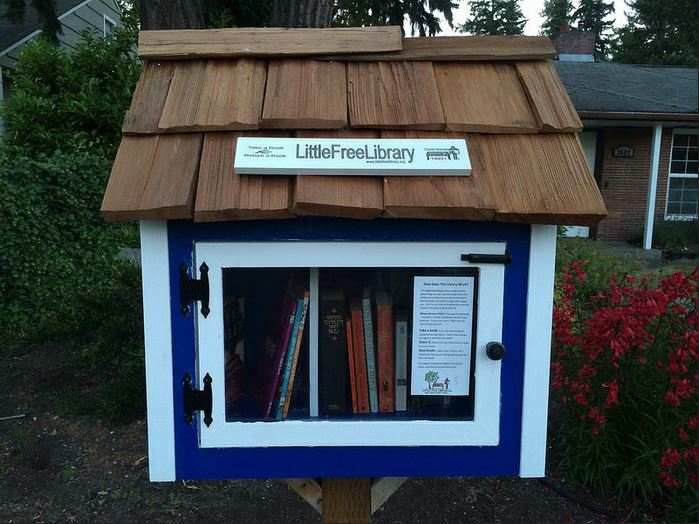 But there had been many similar examples of book-sharing containers and free exchanges in coffee houses, in the streets and front yards and parks of Germany and in Portland, Oregon among other places. 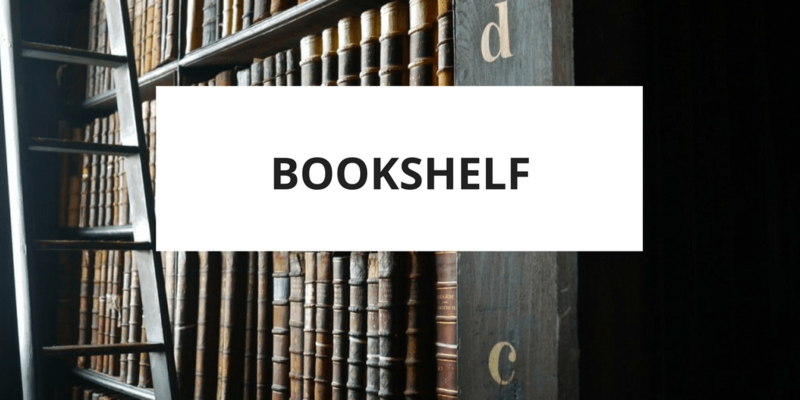 I had seen shelves of free books to be shared by entire villages on the front porches of village officials, in pre-schools and on the grounds of Buddhist temples in Sri Lanka when I first visited there in 1999. Lutie Stearns, a public librarian in Wisconsin, distributed wooden boxes of books – traveling libraries – to more than 1,000 rural communities by horse-drawn wagon throughout Wisconsin between 1895 and 1914. 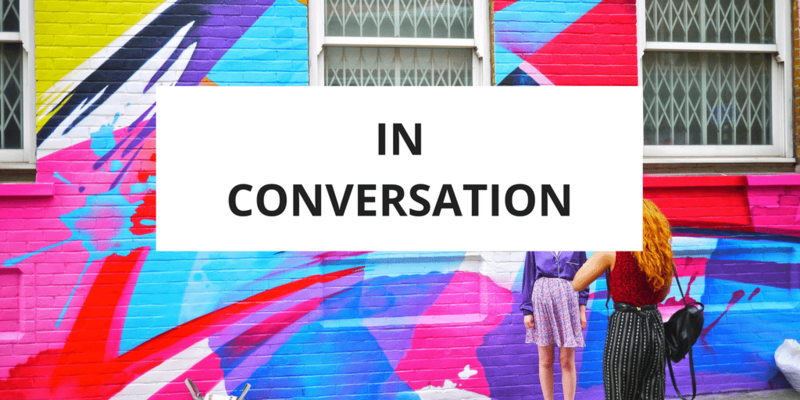 LO: In the age of the internet, why are books still so important? Share your top three book recommendations with us. RB: Hundreds of millions of adults grew up with memories of their parents reading to them as infants. Having the child and the book in one’s lap or reading while they get ready for bed is an important part of the bonding process. Then there is the physical look and feel of books; the tangible collection of visual and verbal stimuli that for a myriad of reasons communicates cultural heritage—stories, lessons and knowledge that seems to have a human dimension that is missing from digital images. A book is also part art, craft and mobile museum of humanity. It can be wrapped, presented, received and displayed as a gift. On a shelf, it can serve as a focal point for interior decorators; an indicator of wisdom, curiosity and wisdom to one’s guests. Actual books in Little Free Libraries and elsewhere offer great excuses to meet people in person and share ideas. Independent bookstores and libraries of all kinds provide a sense of place that attracts people who might never have met or interacted otherwise. Need we say more? The list of positive attributes is long. I’d share my top three recommendations with you, but my problem is that the “top three” change continuously in almost every category. And my interests change. I happened to love At Play in the Fields of the Lord by Peter Mathiesson, short stories by O. Henry and about two dozen children’s books that are so funny and reassuring that I will be reading them to babies and grandchildren as long as I live. One of the neatest things about Little Free Libraries, by the way, is that you rarely know what you are going to find there. Surprise yourself! I have found several books almost 200 years old as well as books that knocked my socks off. You will, too, if you are an active Little Free Library user. LO: A book about the Little Free Library project has recently been launched – congratulations! Tell us a bit about what we can expect if we pick up a copy. LO: In what ways would you like to see the project grow and develop from here? Is there anything else you’d like to share with us? RB: What I have cherished thus far is the continuing flow of pictures and stories that result from authentic commitment rather than the result of advertising or heavy marketing. In fact, it is the giving of entire Libraries as well as books that inspires me. Then there is the fascinating dissemination of new ideas and social relationships that has already begun taking hold—tiny books, mobile book delivery vehicles, neighborhood art exhibits, seed and gift exchanges, themed Libraries and exquisitely crafted, museum quality art pieces that contain books. 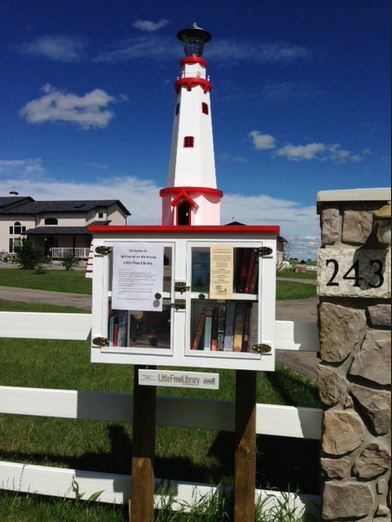 Entire curricula for elementary and secondary schools have developed around Little Free Libraries. In anthropology, we call this stimulus diffusion. I look forward to seeing what new ideas are stimulated by the people interested in Little Free Libraries. 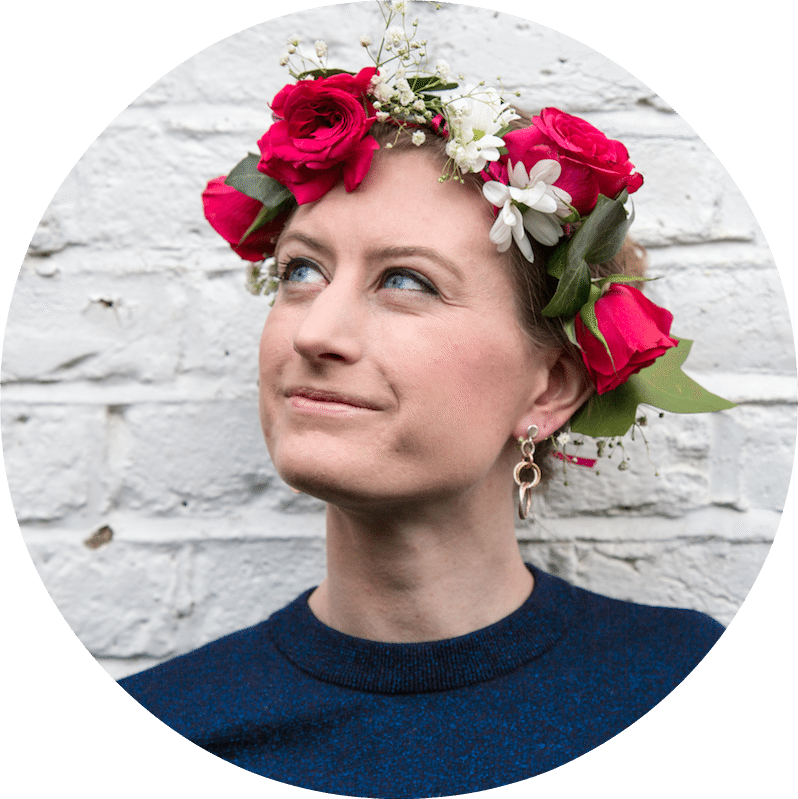 LO: Little Observationist is all about appreciating the little things in life. 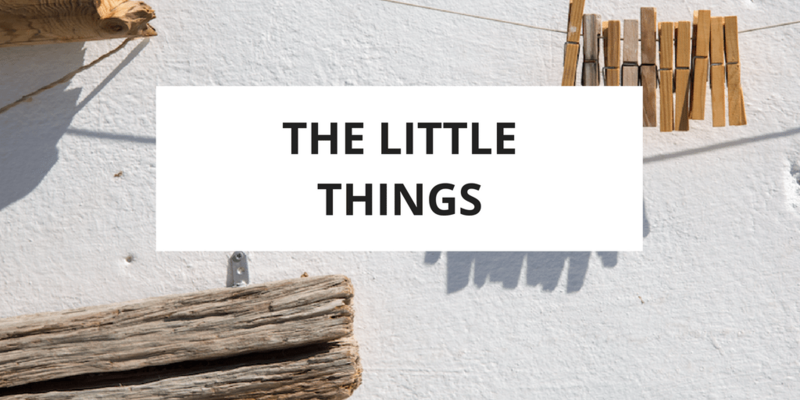 What are three of the little things you’ve enjoyed recently? 1. Our 9 month old grand daughter Josephine, who already loved books by the age of 4½ months. 2. The Tiny Books created by children and adults as part of their learning experience with Maya Stein and Amy Tingle on Typewriter II: The Tandem Poetry Tour from Boulder, Colorado to Beloit, Wisconsin. Find out more about the Little Free Library project. I completely agree. I think they’re a wonderful idea. I read so much as a kid and it’s something I try to make time for as much as I can now too. There’s one in my daughter’s dentist’s office! I love this story. So much even more because I had the opportunity to meet Mr. Brooks at a Beloit College reunion where my wife Mary, also attended and was a friend of Rick’s. I noticed also in your article that Mr. Brooks worked for Pioneer Press in Chicago. I too, worked for them but not in a writing or editorial capacity but as a cold-type compositor. Thanks for your comment John – how interesting! It’s such a great initiative. I hope it continues to grow.